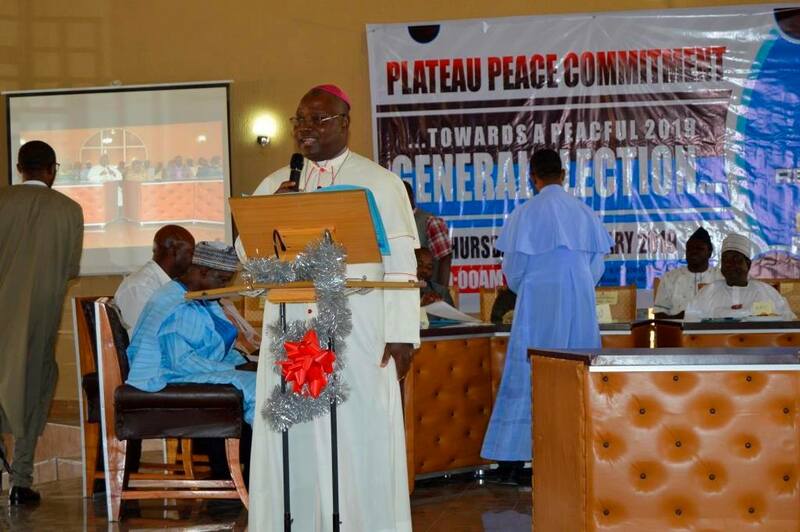 Religious and Community Leaders in Jos, the Plateau State Capital have condemned the rising spate of hate speech across the country, calling on their followers to shun provocative actions and comments that are capable of causing disunity in the country. 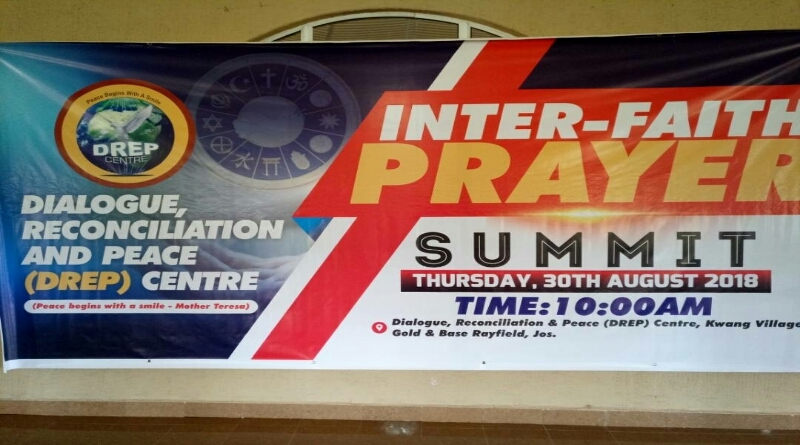 Speaking at a quarterly Dialogue and Consultative meeting held at the Dialogue, Reconciliation and Peace (DREP) Centre, Jos on Thursday 15th June 2017, the leaders called on Christian and Muslim clerics as well as community leaders to use their pulpits and good offices to douse the rising tension across the country while insisting that Nigeria is greater together as a nation. 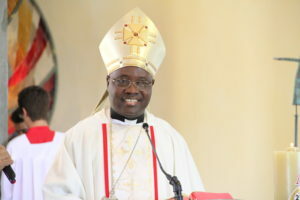 In his speech, Catholic Archbishop of Jos, Most Rev. Dr Ignatius Kaigama said hate speech among youths using social media was spreading like a virus and government must stop being reactive to such issues and find proactive ways of dealing with them. On his part, the Publicity Secretary of Jama’atu Nasril Islam (JNI), Sani Mudi advised religious leaders to use their places of worship to sensitize youths against hate speech. In a community issued at the end of the meeting which had in attendance Key religious and community leaders as well as members of the security agencies and other organized religious, cultural and social groups, the leaders called on the government and security agencies to be proactive in arresting and prosecuting persons and groups making inciting statements that can plunge the country into chaos and violence. While we appreciate the continued peaceful coexistence being experienced in Jos town and its environs, we however decry the increasing hate speech among our youth which can cause serious crisis. We therefore, call on our youth to be tolerant and charitable in their speech. We also call on security agencies to prosecute all those who threaten the peace through hate speech. We call on all parents, religious and community leaders to caution their children and followers against making provocative and inciting comments. We also appreciate the current peace we are enjoying in Jos town and surrounding but we decry the increasing cases of criminality and lawlessness and urge that they be curtailed. We observe in addition to car and battery stealing, motorcycles still operate in some locations in defiance to the directive by Government banning them. We also observed that tricycles still operate beyond their restricted time and when security agents arrest them, they are alleged to pay bribe and are allowed to continue operating, this has resulted in increased crime and insecurity. We wish to caution our youth to stop beating the drums of war and also fanning the embers of division that can threaten the peace of the country. Nigeria as a nation cannot afford another civil war. Hence, such comments even when made as a joke must stop forthwith. We wish to reiterate our strong belief in the oneness and unity of Nigeria as its indivisibility is non-negotiable. We call on citizens to develop the habit of good waste management. We also call on Government agencies such as Jos Metropolitan Development Board (JMDB) and Ministries for Urban Development and Health to do more in waste collection and drainage clearing so as to prevent flood and other health hazards. We observe that drugs and substance abuse by our youth is on the rise as such illicit drugs and substances are now sold and consumed openly in areas such as Angwan Rukuba, Janta Mangoro, Gada Biyu, Angwan Rogo, Utan, Rukkuba Road, West of mines etc. Security agencies appear either indifferent or are helpless. We therefore, call on the security agencies to wake up to their responsibility of ridding our communities of illegal drugs and substances. We must not forget that drug and substance abuse encourage crime and violence. We wish to commend the Divisional Police Officer (DPO) of Nassarawa Police Division and Sector 2 of the Special Task Force (STF) for their effort and collaboration in ridding the surrounding communities of drug addicts and substance abusers as well as other criminals. We commend elders, leaders and even youths who distance themselves from hate speeches and the clamour for the division of our country. We urge all to work towards a united Nigeria where there is justice for all and equitable distribution of resources among our citizens. We call on Christian and Muslim clerics and religious leaders to use the pulpit to discourage their faithfuls from making hate speeches that create tension and leads to violence among our citizens. We call on Fulani herdsmen to avoid grazing their cattle on cultivated farmlands during this farming season to avoid clashes with farmers in our rural areas. 10.Arrested drug addicts and criminals must not be let to go off lightly by security personnel. They should be prosecuted in proportion to their crime so as to discourage others from committing the same crime. We commend the presence and active participation of the Department of State Service (DSS), Nigeria Security and Civil Defense Corps (NSCDC) and the Director General of the Plateau Peace Building Agency (PPBA) at our meeting. We look forward to the participation of other Government Agencies like the Special Task Force (STF), the Nigeria Police Force (NPF), National Drugs Law Enforcement Agency (NDLEA) and other security agencies. We strongly believe that their personal presence and contribution will add great value to our interactions. We the religious and community leaders in our dear Plateau State pledge to live peacefully with one another among the ethnic, community and the religious groups, and we renew our loyalty and determination to live as one people in one state under one indivisible nation and God. We also wish our Muslim brothers and sisters a happy and peaceful Sallah celebration.